Thanks everyone for your encouraging comments on Monday’s post! It was really something I had to get out of my mind and onto virtual “paper”. I’m still struggling with those voices today, and that will be part of this post. But I’m also mixing it up, so it calls for my first Thinking Out Loud Thursday in awhile. Always a great excuse to ramble. 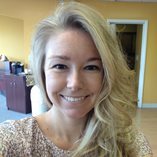 Link up with Amanda if you too are rambling, I mean thinking out loud, today! 1. After last week’s satisfying post-sickness gym trips, I am disappointed to say this week has not been as great. First I woke up Saturday extremely unmotivated, so I just did some yoga. The big old blizzard cancelled my favorite Monday 6pm spin class, which I was REALLY looking forward to. I did go to the gym to do the stairs and some legs/abs, but it just didn’t feel as satisfying. Then the blizzard kept the gym closed altogether on Tuesday…and there’s something about a snow day that makes working out at home seem particularly unappealing. 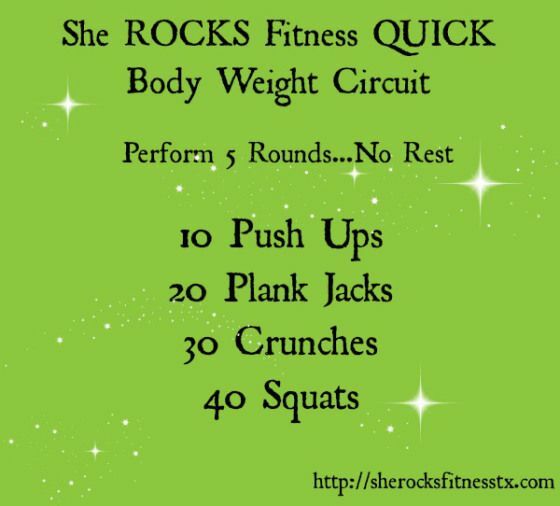 So, I just did this She Rocks Fitness workout to tell myself I did something. I’m coming off of a mentally tough weekend and felt compelled to write about and reflect on something that often comes up during my therapy sessions. Each therapist I’ve ever had asks me if I picture the voice in my head, the eating disorder voice, in any certain way. Is it a male, or female voice? Do I even picture a person attached to the voice? Does it have a name? I don’t picture a person attached to the voice, nor do I know if it’s male or female. And I’ve never been able to get behind the whole “Call it ED!” thing. Giving the voice the name of a human is helpful for some when talking back, but not to me. Eating Disorder Voice: You absolutely should not have another drink. You keep complaining about your body, well this is why you don’t like it. Alcohol just piles on the fat. You’re just going to keep gaining weight if you keep on this way. Man oh MAN I’m so glad it’s Friday. The week felt ridiculously long, probably because I didn’t have Monday off for MLK Day, and I was well aware that many people did (due to the silence that descended over GChat). But now F-day, the day known today as FriYAY, is here. Let’s get to the fun part of it! 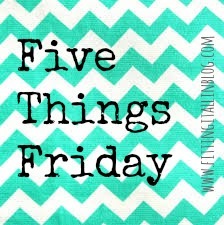 Link up with Clare and share your five on Friday! 1. It’s time to announce the winner of my Balance Bar giveaway! You guys seemed so into it and I appreciate all the entries. The randomly selected winner is Jess W…I will be contacting you to get you your prize! 2. Has anyone else fallen in LOVE with the new Fox show Empire? I can’t be the only one, especially since ratings have been climbing with each episode, which is nearly unheard of. I’m digging all of the actors, and the music isn’t bad either. I’m especially liking this song! I received samples of Balance Bars for the purpose of reviewing them and posting this giveaway. All opinions are my own – this is not a sponsored post. One of my favorite evening snacks (and it’s rare that I don’t have one) is a crumbled up bar stirred into my favorite sugar-free chemical-laden Jello pudding. I’m always up for trying new varieties! 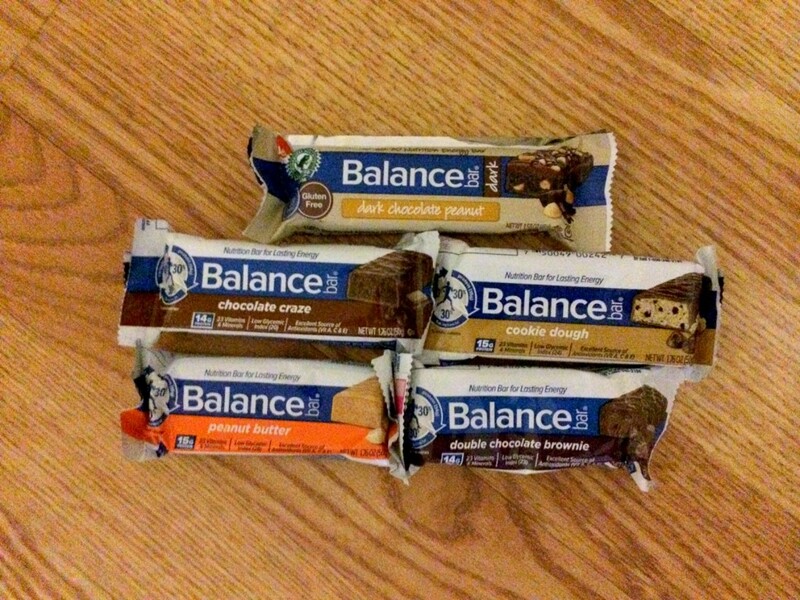 So I was very excited to be sent such an array of Balance Bars for review – and giveaway! – purposes. I’ve spoken previously about experiencing guilt over not putting the gym first when my schedule gets packed. This past weekend was yet another example of how much I have changed in terms of my priorities. Except this time my schedule was not packed – it was my nose. OK wait, that’s gross, but let me explain. Firstly, a spontaneous Thursday night dinner at a spot I really enjoy, The Merchant, turned into a Thursday night out at Highball Lounge. Not a huge deal – I took the T home (I only took one Uber this entire weekend and it was just $8 – hooray!) and did not overdo it on food or drink. Highball is a super cool spot. I would go back in a second, and once again order sparkling rose with a garnish of RUBBER DUCKY. However I woke up on Friday morning with a stuffy nose and by the time noon hit, it was a full-on cold. I had already decided it was a rest day, since I hadn’t taken a 100% rest day since Christmas (oops…). So missing the gym on Friday wasn’t such a big deal to me. I still went out for a low key dinner and then had a couple of glasses of wine after at one of my favorite bars, Oak Long Bar + Kitchen in the Fairmont Copley Plaza hotel. Jen was kind enough to join me and it was a great quiet Friday. And also involved lots of bread, which I crave when I have a cold. And in the moment, quenching my craving to make myself feel better was more important to me than counting carbs. Hope you guys found yesterday’s sponsored post at least semi-relevant. Living in Boston means a tighter budget, and living in Boston in the winter means taking ALL of the Ubers. So bear with me while I try to fund said Ubers with some paid opportunities. Also must continue to fund my cocktail habit…mine (on the left) is a bellini from Five Horses Tavern, made with Four Roses Bourbon and local balsamic! Don’t be fooled by the rock candy, this was not sweet. And here I am today with a “real” post, in the form of Trade Em Up Tuesday. This isn’t about what I want to trade or not trade in the New Year. Rather, it’s just my first Trade Em Up Tuesday post of the New Year. I would not trade…some successful recipes cooked at home! I’m continuing my quest to make some delicious dishes from my Pinterest boards and it’s mostly going great. A few hiccups here and there as I learn some cooking-related lessons, but that’s what living in my first apartment is all about. I applied for this Clever Girls campaign as soon as I saw that it had to do with SALAD. I love salads. I eat one for lunch every weekday, and love how they can be so much more than the rabbit food side salads you might find at a place like Chili’s. Salads can taste great and the best part of all? You can eat a lot of them. My coworkers were a bit befuddled when a cooler full of salads showed up to the office! 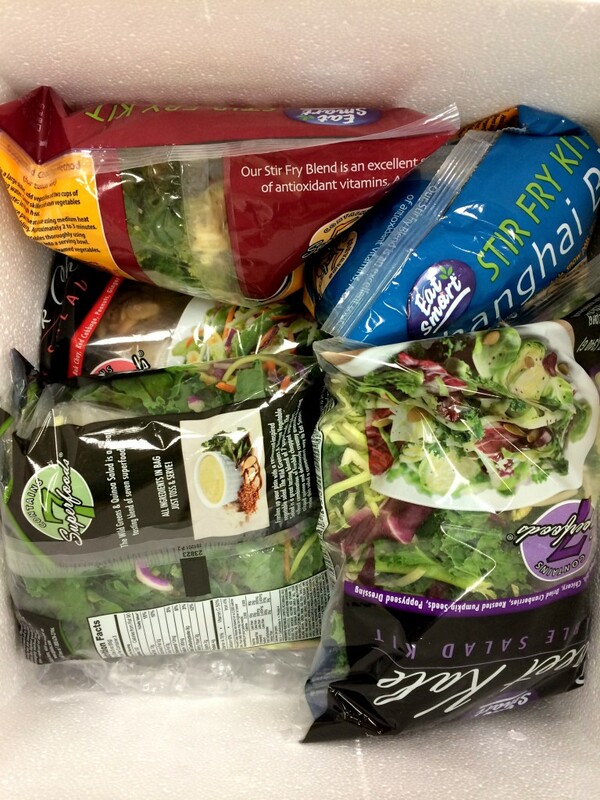 Eat Smart has come out with Gourmet Salad and Stir Fry Kits to make it easier for folks to get their veggies in. And these aren’t your average bagged salads – we’re talking five to seven ingredients, including BRUSSELS SPROUTS. We’re talking kale. We’re also talking some pretty cool accompaniments to these salads, like roasted pumpkin seeds and feta. Sorry that I’m so late to the game in announcing the winner of my Tuttorosso Tomatoes giveaway! The winner of the prize pack is Amy – thank you for entering and I will be reaching out about getting you your winnings! It’s been a busy holiday season with no time to blog much…followed by a vacation during which I did not feel like blogging much. Sorry about that! Long-time readers already know that I go to Florida every Christmas season with my family. We use to split our time between my grandma and grandpa’s apartment and hotels, but now we have a condo of our own in the Palm Beach Gardens area.